Power fishing is a method of fast prospecting where lures such as crankbaits and spinnerbaits are used because they can find active fish like no other. 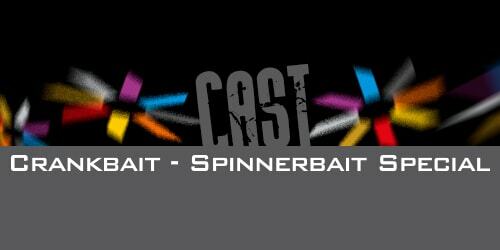 Their design makes it possible to recover them fast enough (fast moving lures) so as to optimize the fishing time. Not very delicate, at first glance, this method must be mastered by any competitor worthy of the name! To make it in the best conditions we use carbon / fiberglass composite rods rather than carbon for a simple reason! This composite dampens the strong vibrations of the aforementioned lures and avoids premature fatigue, it also makes it possible to “hand” when the fish attacks the lure in motion and greatly increases the chances of successful shoeings. Quasi automatic fastening moreover … no need to sharply iron! During combat, many stalls are avoided thanks to this type of composite rods. Sakura offers you a versatile model to put you also in “mode power” and to taste the comfort of the fiberglass.